Are oral cancer and lichen planus linked to each other? This is a common question which comes in the mind of most people worldwide. So, if you too wondering the same, keep reading to learn more about it. To understand the connection between oral lichen planus and oral cancer, it is highly important to know the difference between the two. Let us start with lichen planus first. Lichen planus is an inflammatory condition of the skin and mucous membrane. It is believed that lichen planus affects 1%-2 % of the population worldwide. This inflammatory condition is more common in women than in men. Oral lichen planus affects the mucous membrane within the mouth. People with oral lichen planus may develop white lacy patches, lines, or dots inside the mouth, commonly near their inner cheeks. It can also appear as reddish sores. Oral lichen planus can lead to pain and burning sensation with severe discomfort while having food. Lichen planus is an autoimmune disease. So, the exact cause of lichen planus is unknown. However, certain factors have been found responsible to increase the tendency of lichen planus in individuals. Some are listed below. The genetic tendency may also be responsible as there can be high chances that the future generations of the same family may suffer from lichen planus. Certain procedures, such as amalgamated dental filling, can also trigger oral lichen planus. Prolonged emotional stress, such as anxiety, shock, traumatic childhood, sadness, disappointment, failure, and humiliation, often trigger the process of lichen planus. Can Lichen Planus Cause Oral Cancer? Long-term or chronic oral lichen planus can lead to certain complications. It includes ‘Erosive Lichen Planus’ which may make you suffer from mouth sores and severe ulcers. According to the medical studies, Oral Lichen Planus is also a predisposing factor to Oral Cancer in about 1%-5% of the patients. 1 to 5 individuals in every 100 patients suffering from oral lichen planus is predisposed to Oral cancer, which when taken into account leads to a large number in totality. How To Manage Oral Lichen Planus? Avoid tobacco and stop alcohol consumption completely. Avoid eating food products which are hot, highly spicy or oily. Reduce stress in daily life by including yoga or exercise. Certain foods, such as red meat, should be avoided. Avoid excessive intake of painkillers, antibiotics, and NSAIDs for long-term. 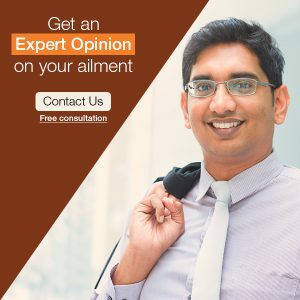 We, at Life Force, have worked on Lichen Planus for more than two decades and have been able to treat most cases successfully using homeopathy, which is individualized, effective, and very safe. So, you can count on homeopathy to treat your oral lichen planus remarkably. So, if any time you happen to suffer from oral lichen planus, follow the above-mentioned health tips and choose to treat it with homeopathy to obtain relief from it and prevent its recurrence. Count on homeopathy for oral lichen planus without a second thought.